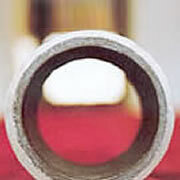 The ceramic lined pipe is a high performance pipe consisted of ceramic ring,seamless steel tube and adhesion agent. Ceramic lined pipes and fittings like ceramic bend,reducer and tee are manufactured by Sunny Steel . These ceramic lined system can provide excellent structural support and wear resistance,they are widely used in the heavy industries' most difficult wear situation. 2. 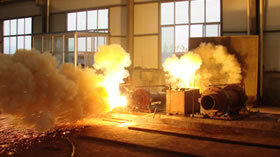 Customized Maximum Length Can be Achieved by Welding. 1.The lining of the product is manufactured from alumina ceramics for engineering.Alumina ceramic material have a high hardness ,and have a strong wear resistance. 2.As the amphoteric compound ,the engineering ceramics will not chemically react with acid and alkali. 3.Since the density of the ceramic is just half that of the steel,the weight of the custom ceramicpipes and fittings is light,which contributes to easy installation.